Growing up my family regularly took road trips up north to visit our relatives. Now that I am grown with two small children of my own, I don’t quite know how my parents managed to maintain their sanity with three children in the back seat prior to the invention of in-car entertainment systems. I do recall a number of trips that either began or ended in the wee hours of the morning, but the evening just wasn’t quite long enough to get us all the way there without a few hours of awake time. 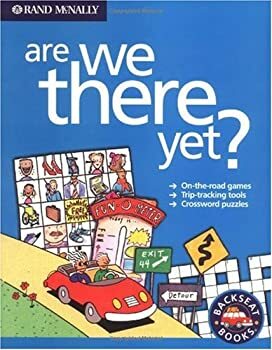 We playing the required car games, such as I see something that starts with the letter…, sang songs, played twenty questions without the benefit of a suggestion deck, among other things, but my favorite memory remains the story rounds. Each of us would take a turn telling a part of a story, then you had to wait while the other members of the family added to the story. You had no idea what they were going to have happen and would have to pick the story back up from where they left it when it was your time again. That is unless your turn followed my kid sister’s. She was extremely young when we started playing these games and so didn’t quite grasp the concept. Rather than continuing on from where the last person left it, she would go rogue. Making up random short story elements and characters that had absolutely nothing to do with anything. We started calling her additions the commercial breaks. Sometimes the ‘commercials’ ran long and you had to really try hard to remember where the main story had been before it was interrupted. Occasionally this actually worked for the story’s benefit. We had to remind ourselves about the setting or key plot points. Strong stories would get reined back in and would be refocused, weaker stories however couldn’t survive and were scrapped, forcing the family to start the story round over anew. Creativity, focus, and follow-through are critical traits in any profession, however you will never know the depth of your commitment and determination until you have been thoroughly tested. As the fantastic line goes “All work and no play makes Jack a dull boy.” Distractions don’t have you be your enemy. Take a step back and allow yourself downtime provided it is in moderation. If you come back and can’t regain your enthusiasm for a project (or story), then consider that a warning sign. Take the opportunity to rework some aspect of it. The public will thank you.